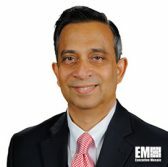 PV Puvvada, president of Unisys‘ federal systems business, has said that federal agencies should establish cross-agency partnerships and utilize shared services to achieve information technology modernization goals. Puvvada, an inductee into Executive Mosaic‘s Wash100 for 2017, wrote in an opinion piece published Friday on FCW that the need for shared services and cross-agency collaboration is underscored by a Unisys-commissioned survey released earlier this month. Research firm Market Connections surveyed 200 federal information technology leaders and found that 59 percent of respondents believe IT modernization programs at their agencies led to an increase in security challenges. Puvvada added that the survey’s findings reflect the recommendations of a White House draft report on IT modernization, which called on agencies to accelerate cloud migration, consolidate networks and prioritize efforts to update high-value, high-risk assets. The White House document also stated that shared services and interagency collaborations can help achieve efficiencies, savings and modernization objectives such as improved security, which is the top modernization priority cited by survey respondents, Puvvada noted.